Love this Beth! 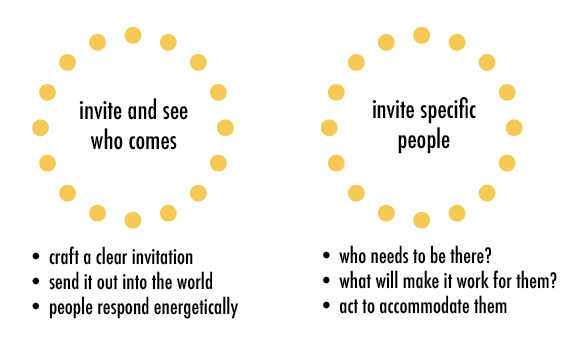 the Art of Invitation can be picked apart as a dedicated practice quite deeply. Doing so cre ates invitations that embody an energetic, and that is what I think makes them particularly successful. Thanks, Chris. Yes indeed, the Art of Invitation is a practice of layers… a practice that never ends in its layers of learning.